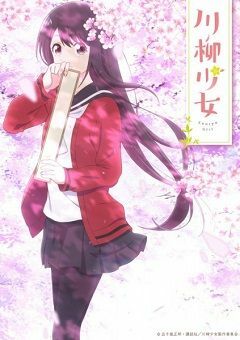 ukishiro Nanako is a cute, cheerful high school girl with one peculiar trait—instead of verbal communication, she writes senryuu (a type of haiku) poems to relay her thoughts. Together with ex-delinquent Busujima Eiji, they are budding freshmen of the school’s Literature Club. Even though Nanako doesn’t talk, with the power of senryuu, the adorable pair has no problem enjoying their fun school-life through the tune of 5-7-5 syllables.